Lata Upadhyaya from Assam is a visual artist that specialises in contemporary sculpture. She completed her Masters in Fine Art in both India and the Slade School of Art, London. 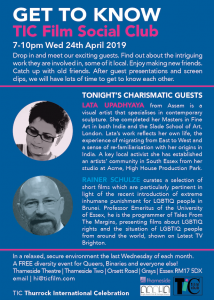 Lata’s work reflects her own life, the experience of migrating from East to West and a sense of re-familiarisation with her origins in India. A key local activist she has established an artists’ community in South Essex from her studio at Acme, High House Production Park. Rainer Schulze curates a selection of short films which are particularly pertinent in light of the recent introduction of extreme inhumane punishment for LGBTIQ people in Brunei. 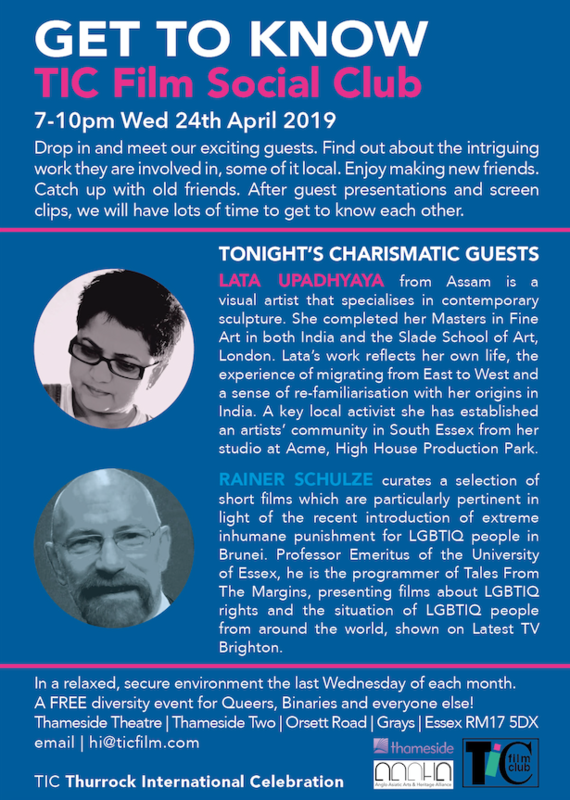 Professor Emeritus of the University of Essex, he is the programmer of Tales From The Margins, presenting films about LGBTIQ rights and the situation of LGBTIQ people from around the world, shown on Latest TV Brighton.